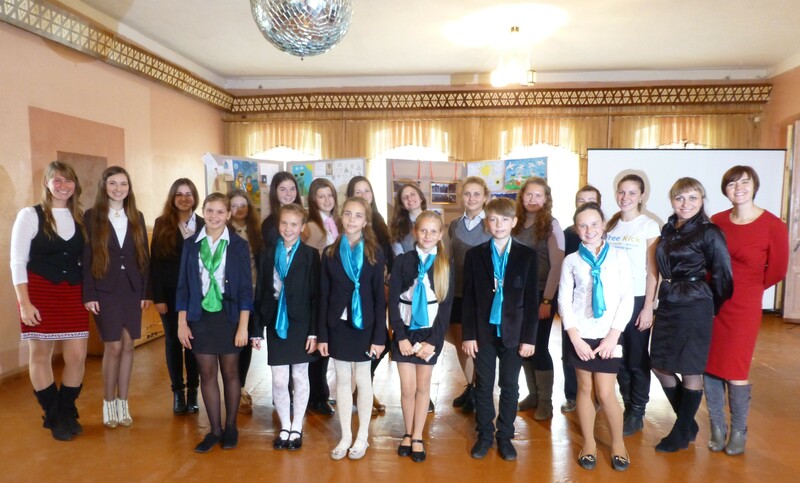 Today my school participated in the local Euro Club contest…Essentially to find the best Euro Club in town. For the past week, 10 of our most active students have been pulled out of school to prepare their speeches about designated topics as teachers run around preparing materials and power points for the presentation. Our school’s participants and facilitators (only missing Halya). However, once we got to the contest, we realized there were only three other schools who were even participating and our activities, preparation and general awesomeness would blow the other schools out of the water. Our students also presented their entire program in English of which the judge didn’t understand a word. In the end, we also learned that EVERYBODY was a winner as each school received a certificate of participation. Oh well…so it goes. European Day Fundraising Fun Fair with 4 guests from the EU. Worldly Wise School’s pen pal exchange with a school in California. We highlighted and showed clips from the videos we exchanged showing our cultures and schools to each other. Although many of the topics don’t deal directly with the EU, we emphasized that our practice and knowledge of the English language directly prepares us for international communication with the EU. All the participants and our facilitators. As you can see, the room we used doubles as a disco hall.